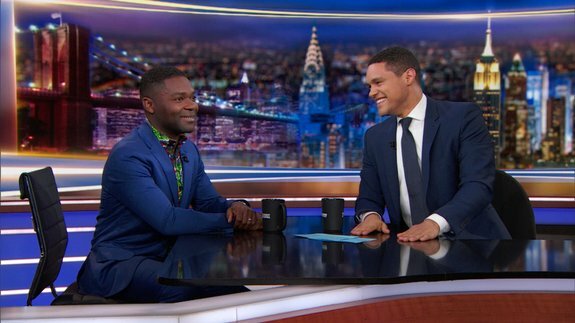 Popular Hollywood star, David Oyelowo has been caught on camera speaking about his Nigerian father with Trevor Noah. Nigerian-British actor, David Oyelowo is one of the many Nigerians in diaspora doing the country proud as he conquers new grounds in the film industry internationally. The award-winning star during a recent appearance on Trevor Noah’s “The Daily Show” has talked extensively about his Nigerian dad, Stephen Oyelowo. In his chat with Noah on the show, Oyelowo revealed that his father who is from Oyo state but lived most of his life in the United Kingdom is obsessed with leaf blowing. The actor went on to describe comically how his father goes about with the leaf blowing and his narrative leaves both the audience and Noah in peals of laughter. Oyelowo was born in Oxford, Oxfordshire, England and was brought up as a Baptist.